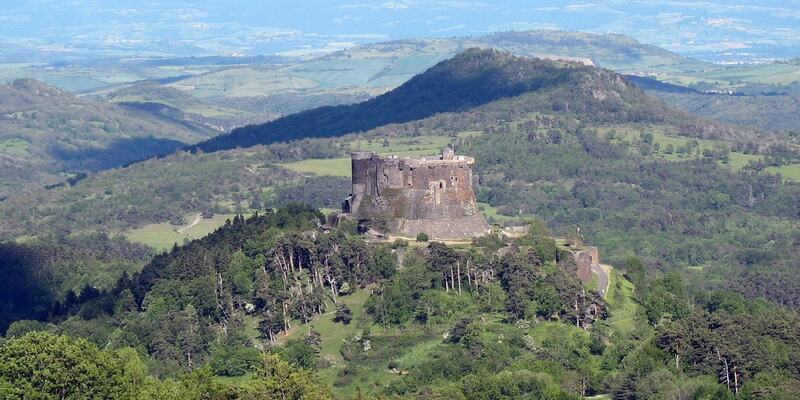 The first castle was built on a basalt outcrop in the 12th century to provide surveillance over several roads. It was reinforced in the 14th century by Guillaume de Sam, who built the keep, a second chapel and the eastern buildings. The castle has been developed as an important tourist site in recent years. The tours are designed to give a genuine view of life in a medieval castle. Displays of medieval martial arts are given in the lower courtyard.